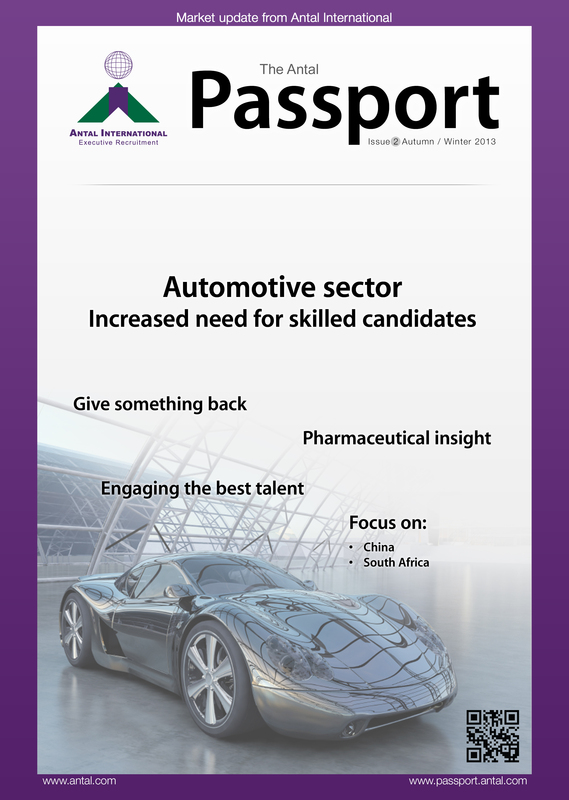 We are pleased to present the second issue of Antal Passport, our internal magazine published twice a year. The aim of this publication is to highlight trends that impact on global organisations; we are focus on key markets and topics that attract political attention. Our internal industry experts from across the Antal Network share their views on the issues which are affecting their sectors, giving their opinions of the impact these have on the recruitment and human elements of business. As this is a collaborative team project, I would like to thank the editorial team for their hard work; they have shown considerable cooperation and devotion being able to juggle this second issue and their already busy agendas and above all we were able to improve the whole lay-out. The team have been the key to gathering data to compile and write these articles as well as orchestrating interviews with business partners. Register at www.passport.antal.com or email passport@antal.com to be added to the mailing list for future editions. We would also be pleased to receive any suggestions or topics for discussion in the second edition on passport@antal.com. Bonne lecture / Happy reading!